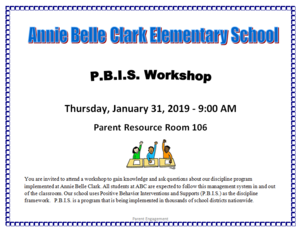 You are invited to attend a workshop to gain knowledge and ask questions about our discipline program implemented at Annie Belle Clark. 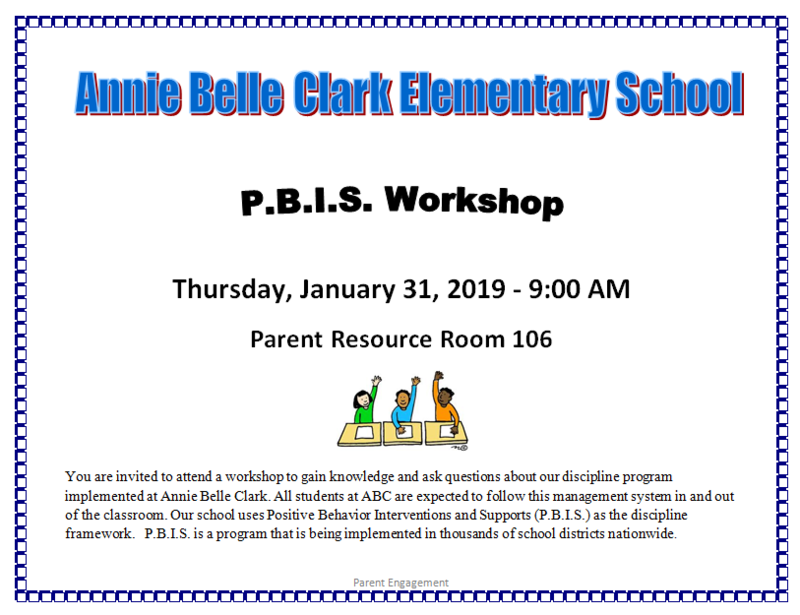 You are invited to attend a workshop to gain knowledge and ask questions about our discipline program implemented at Annie Belle Clark. All students at ABC are expected to follow this management system in and out of the classroom. 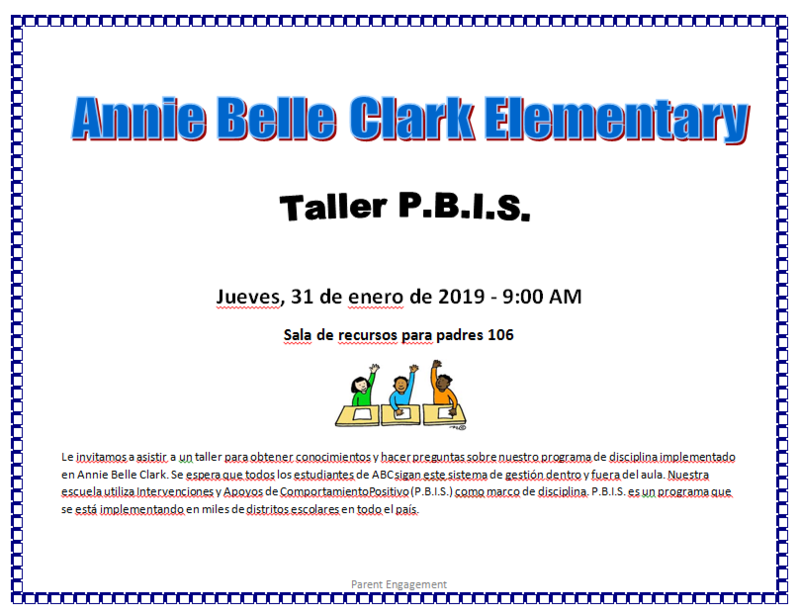 Our school uses Positive Behavior Interventions and Supports (P.B.I.S.) as the discipline framework. 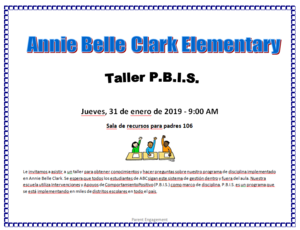 P.B.I.S. is a program that is being implemented in thousands of school districts nationwide.